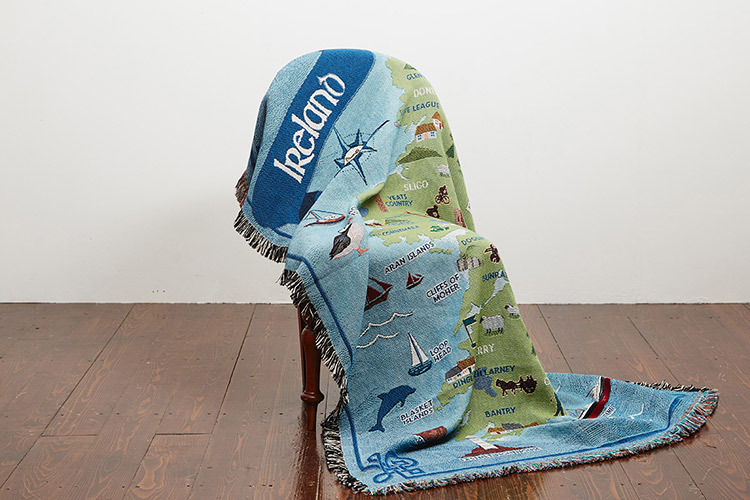 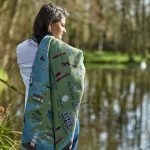 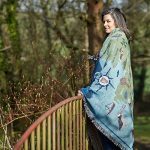 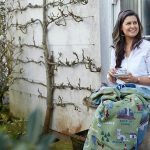 With our Map of Ireland throw blanket you can literally wrap yourself up in Ireland. 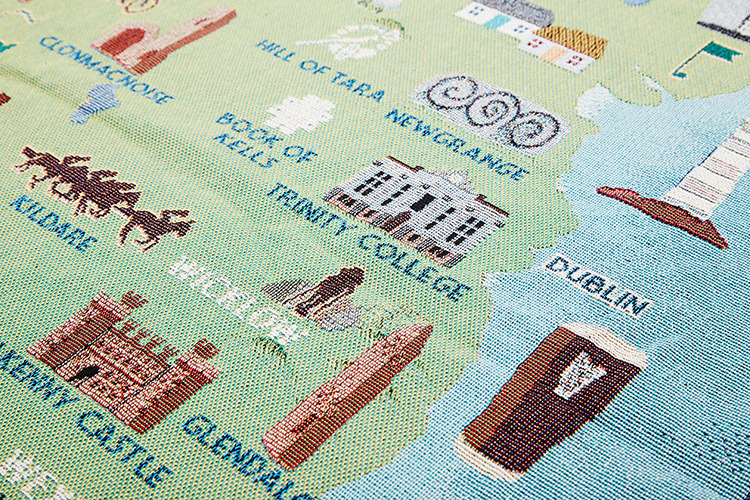 It is a modern, imaginative montage of Ireland’s stunning landscape and rich heritage. 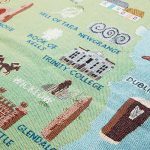 Irish icons, landmarks and activities are woven into a full-colour throw blanket with a bright, crisp and contemporary graphic design. 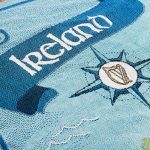 It’s a 21st century take on our beautiful island. 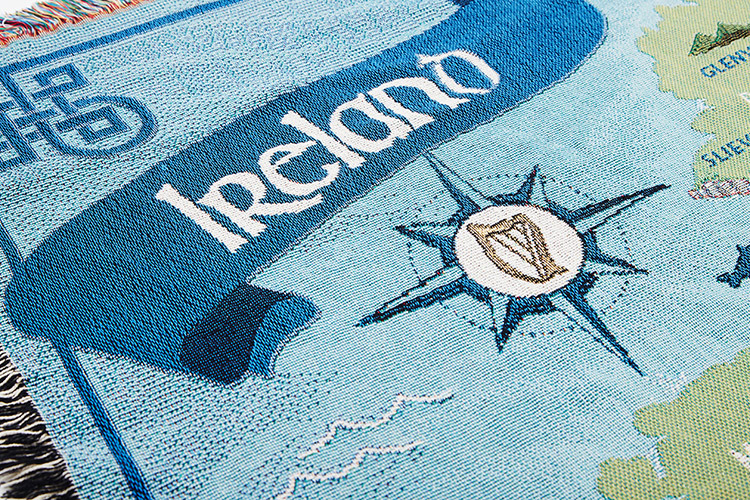 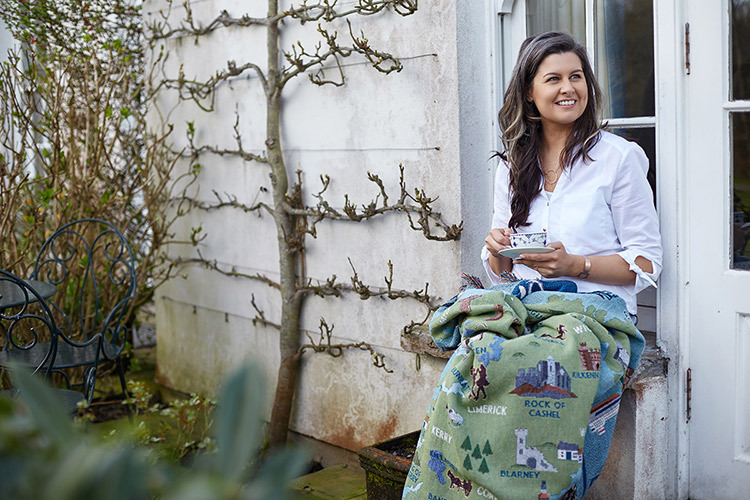 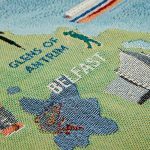 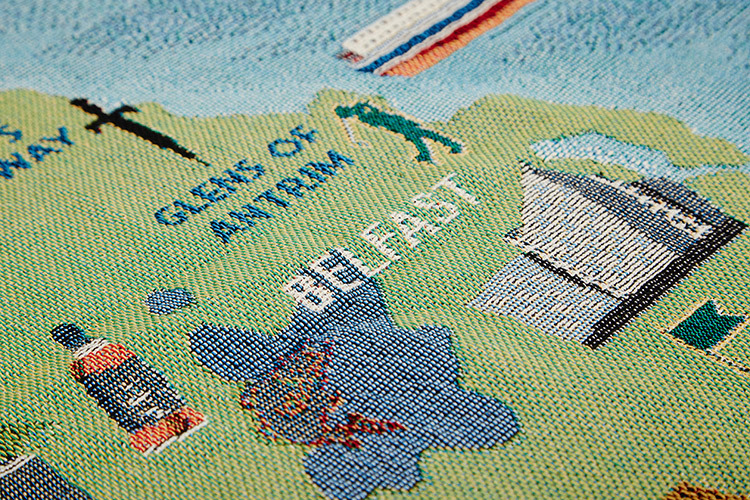 Eight miles of 100% premium quality, colour-fast cotton are woven into every Map of Ireland throw. 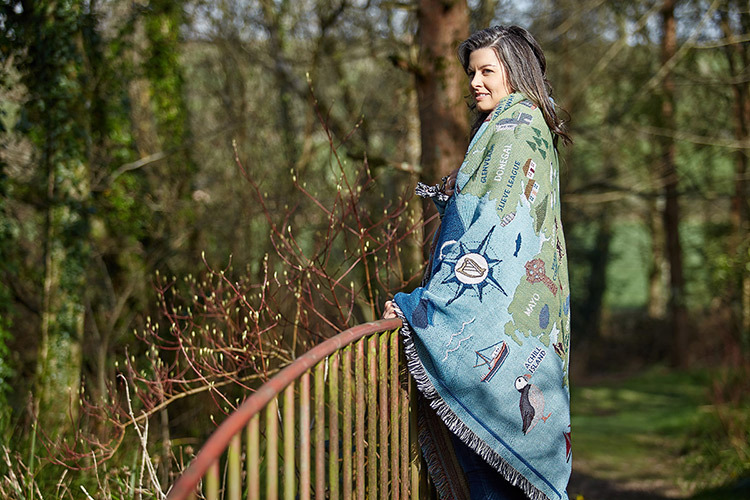 The tapestry-style throw has the vibrant colour palette, brilliant detail and luscious texture that is achieved only through jacquard weaving. 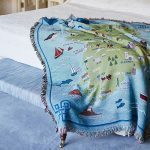 Drape it over your sofa or fold on your bed. 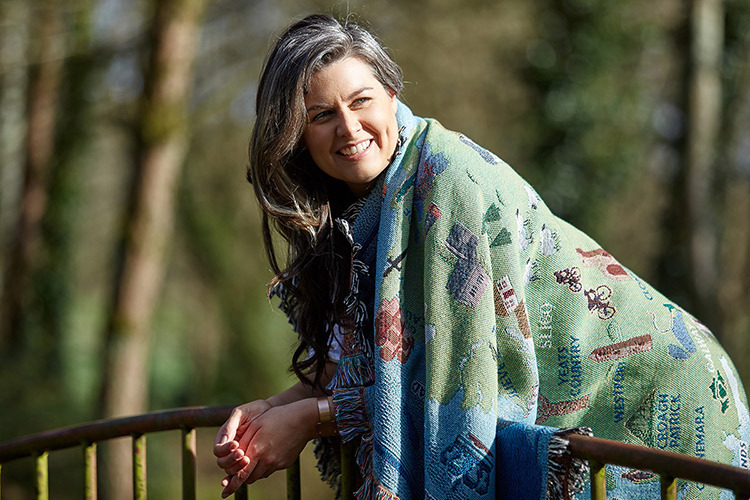 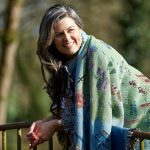 Unlike traditional Irish woollen throws [or ‘rug’ if you prefer the Irish term], it can be machine washed and dried and will stand up to years of daily use. 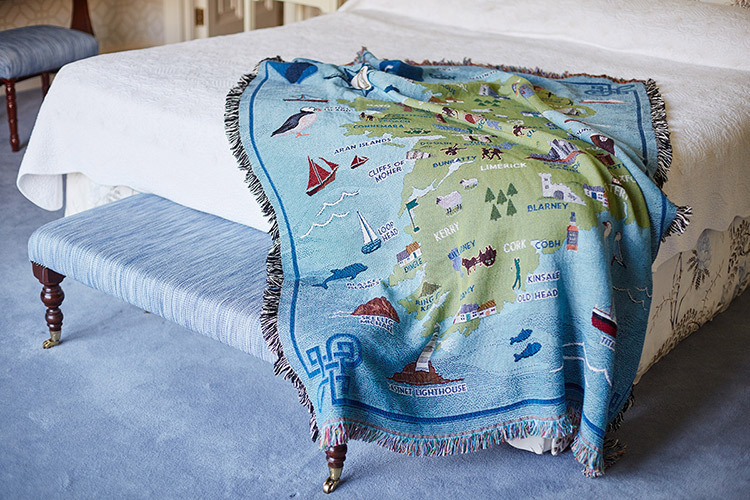 Or why not hang on a wall like a fine tapestry? 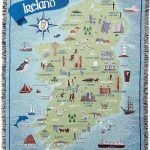 This exclusive Loominations custom design makes a wonderful addition to the home of anyone with Irish pride and an entirely new type of Irish gift product. 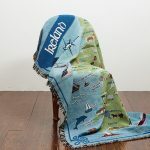 It provides a warm, welcoming embrace, allowing you to wrap yourself up in Ireland no matter where you are in the world. 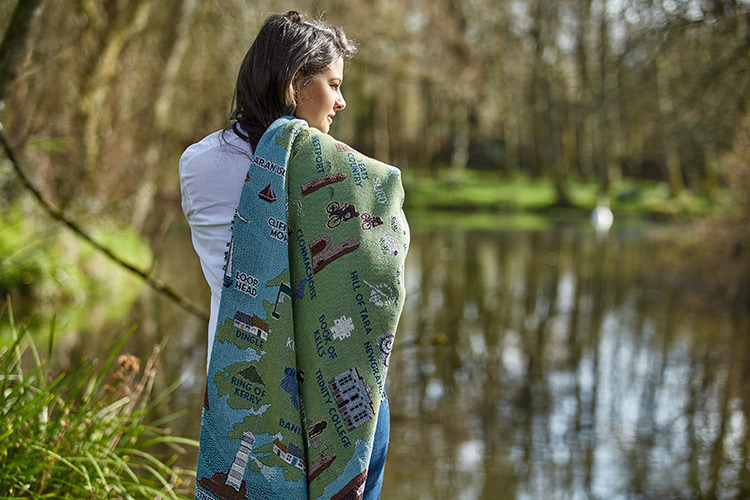 Our gorgeous, red-headed friend, Fiona, wrapped herself up in our Map of Ireland throw at Inchydoney Beach in County Cork! 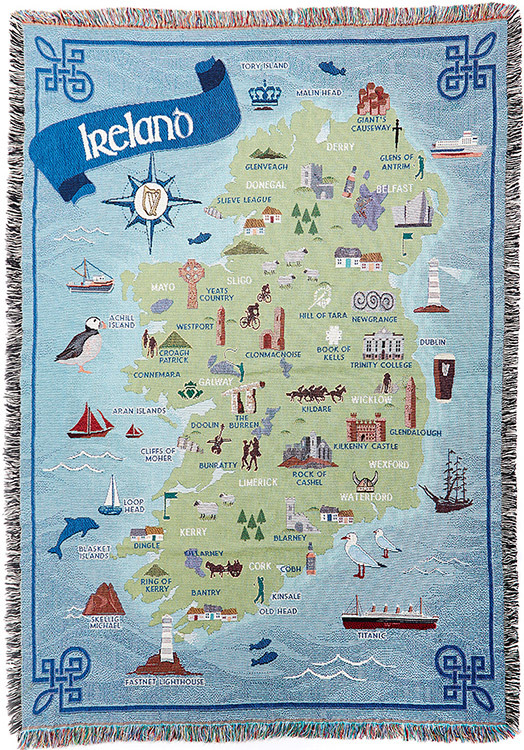 Map of Ireland throw blanket is a Loominations original design.